A modern style interpretation of three dandelions from our collection of modern wall stickers ideal to decorate your home. Tired of having empty walls that only create a dull and boring atmosphere? If yes, these dandelions will do the trick! Customise this creative and original decal. 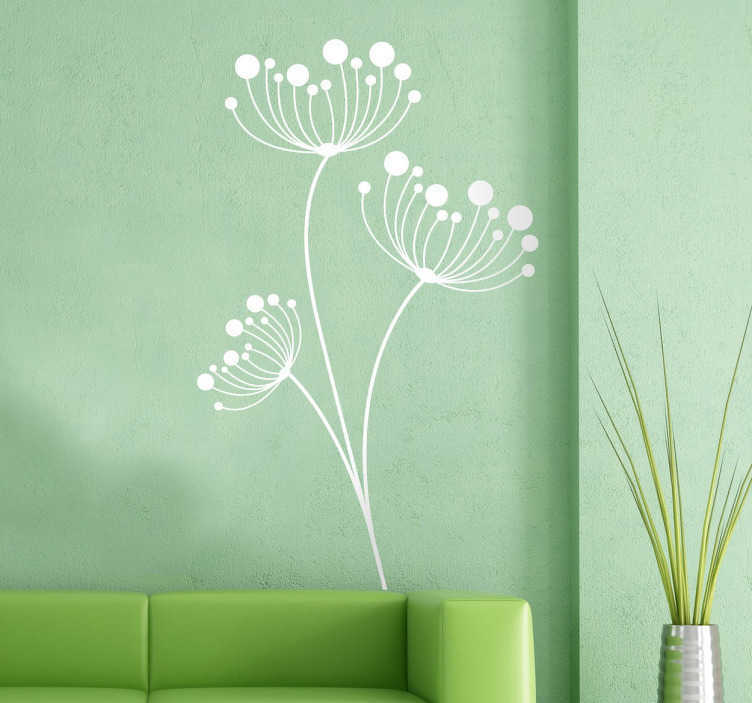 If you are not sure about this decal then make sure you check the rest of our dandelion wall art. Available in various sizes and in 50 colours. Decals made from high quality vinyl. Easy to apply. Also suitable for windows, doors, units, furniture, appliances and more. Brighten up any room and enhance your home decor.